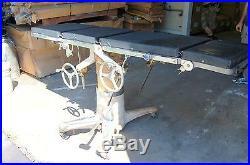 Shampaine and Will Ross Vintage 1950′s Surgical Table – VERY RARE. 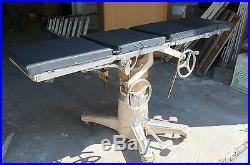 This item is an early 1950′s Surgical Table. 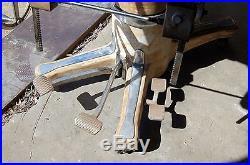 Table completely hand/foot operated. 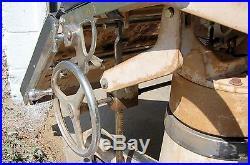 Hand wheel cranks utilize (very smooth) gears to adjust table position. 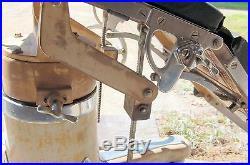 Pneumatic foot controls allow for raising/lowering of table. 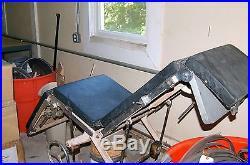 Able to move from fully upright chair to completely flat table. 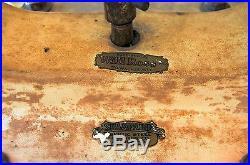 History of Manufacturing: Shampaine Septic Steel Furniture Company of St. Furnished by Will Ross Milwaukee. In 1950 Shampaine Septic Steel Furniture Company of St. Louis bought a portion of the Carrom Company (which manufactured mostly board games but was much more profitable than Shampaine). That same year, Will Ross of Milwaukee also folded in to the Carrom Company within the Shampaine Furniture Company division. 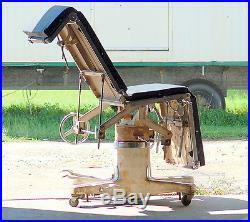 The combination of Shampaine Septic Steel Furniture and Will Ross Furniture resulted in the creation of this surgical chair in early 1950. 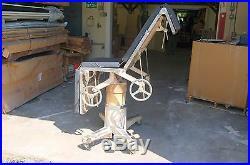 No other chair similar located online or through various research sources. This item is Vintage, RARE and used. Please see photos for exact condition of item. Powered by SixBit’s eCommerce Solution. 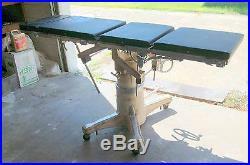 The item “Shampaine and Will Ross Vintage 1950′s Surgical Table VERY RARE REDUCED” is in sale since Friday, May 27, 2016. 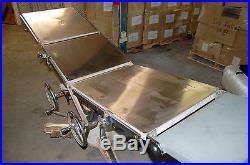 This item is in the category “Collectibles\Science & Medicine (1930-Now)\Medicine, Dentistry\Medical Devices”. 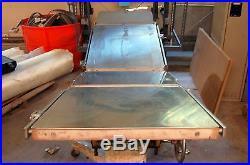 The seller is “surplusmeisters” and is located in Virginia Beach, Virginia. This item can be shipped to United States.